Assassin's Creed Odyssey and Origins are the way forward, but the old creed doesn't need to be forgotten. Assassin's Creed Odyssey continues the new path for the franchise that was established in last year's Assassin's Creed Origins. It's likely that the next Assassin's Creed will be a similar game, firmly establishing the series as an open-world role-playing game rooted in different historical eras. This is what Assassin's Creed is now. This isn't the first time such a change has technically happened to this franchise. If you're wondering what happened to Prince of Persia, that series was ultimately supplanted by Assassin's Creed. "I received a mandate: 'So it's like Prince of Persia: Next Generation, but try to redefine the action adventure genre into the next generation of platforms.' .... This is how it all started," said Patrice Désilets, creative director of the original Assassin's Creed, in a retrospective from Polygon. "So for our first two years, it was called Prince of Persia: Assassins. And I think I had also another vision, and it was less action-y than some people wanted it to be. There was a lot more - which is funny, because now they're doing it - but there was a lot more RPG elements." Prince of Persia died so that Assassin's Creed might live. And now Assassin's Creed has died, so that... Assassin's Creed might live. The fiction continues in the soft reboot, even if the composition has changed in terms of mechanics. Odyssey is the furthest back the franchise has gone, and features the least to do with the Assassin Brotherhood. The connection is in the extensive First Civilization plot, which is a long-running thread that has featured in nearly every primary Assassin's Creed to date. If you loved what Assassin's Creed was, like all those Prince of Persia fans, you're left out in the cold. (I can still find recent comments from people who want Assassin's Creed to die so Prince of Persia can live again.) Assassin's Creed Origins and Odyssey are a different genre, and trying to backstop expectations and experiences from previous releases will only leave you dissatisfied. 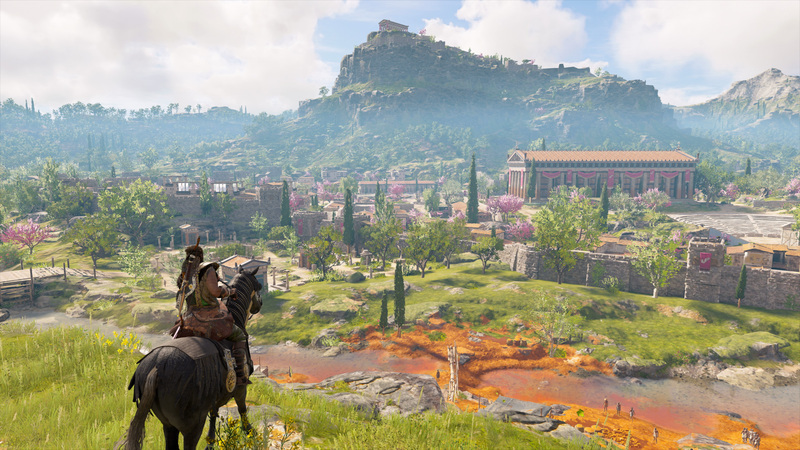 For fans of that older style of Assassin's Creed, I find their umbrage at Origins and Odyssey to be rooted in the fact that there's no longer a game catering to what they want anymore. That's an understandable problem: having a thing you like replaced with another thing you may or may not like. Classic Final Fantasy fans went through a similar pain, though Square Enix occasionally caters to their needs with games like Octopath Traveler. Some early Resident Evil fans found themselves unhappy with the more action-oriented shift in Resident Evil 4, a feeling that was likewise repeated with the first-person Resident Evil 7. If you prefer the original Tomb Raider's precise, tank-like platforming, the Uncharted-style reboot trilogy doesn't help you. And I'm still missing the trap-room parkour of Prince of Persia, which was sidelined in Assassin's Creed II, Brotherhood, and Revelations, only to be dropped completely in Assassin's Creed III onward. Remasters like the Ezio Collection don't heal the wound. Ubisoft somewhat feeds this need with remaster releases. On PlayStation 4 and Xbox One, we had releases of Assassin's Creed: The Ezio Collection in 2016, Assassin's Creed Rogue Remastered earlier this year, and the upcoming remaster of Assassin's Creed III. Those are old games though, and they don't fulfill the desire for new games. Some fans have asked for the Origins and Odyssey line of games to be shuffled off to a spin-off series with a different name, while the Assassin's Creed brand continues on with the classic mechanics. I doubt that will end up happening, as Assassin's Creed Origins had sales nearly double the last pure Assassin's Creed game, Syndicate. Physical sales of Assassin's Creed Odyssey in the United Kingdom were down 26 percent, but that's not low enough to hit another genre shift yet, and we don't know how digital sales have performed yet. Absence may have made the heart grow fonder, but Ubisoft is likely attributing the sales rise to the game being an RPG now. The RPG structure also allows for more recurrent play than the previous games, which generally done-in-one entries. Syndicate was the last entry in the old Assassin's Creed. 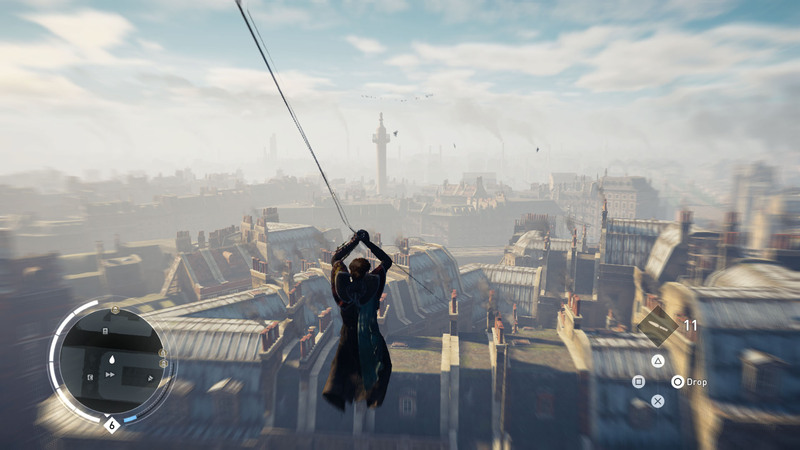 What about alternating styles of Assassin's Creed? It's possible that Assassin's Creed 2020 is more like the older games, as Odyssey looks to have begun development some time in 2015. That puts the next game as starting development in 2016; perhaps Ubisoft hadn't fully committed to this new role-playing game path yet. I find this one unlikely if only because of the original rumors preceding Assassin's Creed Origins back in January 2016. Those rumors pointed towards a trilogy of games, taking place in Egypt, Greece, and Rome. Origins was Egypt, Odyssey is Greece, so it's possible that the next entry will be in Rome with largely the same mechanics. That's puts a potentially old school Assassin's Creed in 2021 or later..
My option is to utilize a model that Ubisoft has largely left behind. For a few of the mainline entries, Ubisoft would allow another of its development teams to repurpose concepts, mechanics, and assets from the primary entry to make a spin-off that was smaller in scope. Assassin's Creed III was joined by Assassin's Creed III: Liberation for PlayStation Vita, while Assassin's Creed Unity launched alongside Assassin's Creed Rogue for previous gen consoles. Both games were led by Ubisoft Sofia. Let one of the smaller studios create an Assassin's Creed with a much smaller scope. 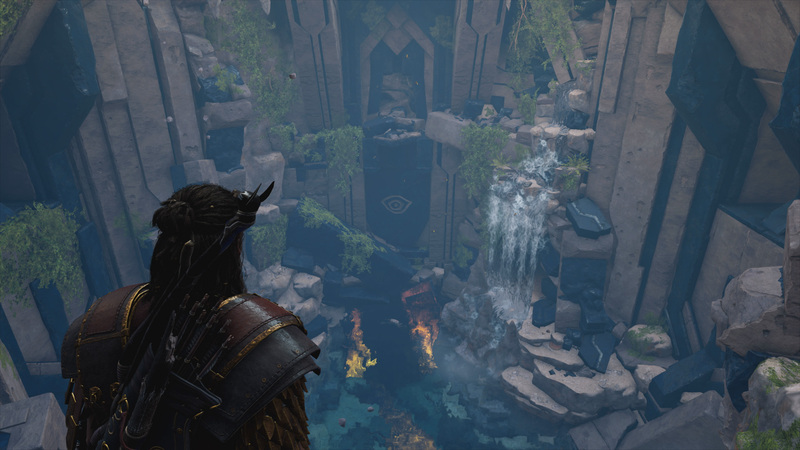 Assassin's Creed Odyssey is a game of sprawling scope, but what about an entry utilizing existing assets from it to create a more focused game? Same time period, different character. Cut the leveling and equipment, and shrink the skill tree down. And craft a story that can be completed in 10-15 hours. Attika, where Athens resides, is probably big enough to tell a solid adventure. Or Lakonia and its surrounding area could utilized. Ubisoft fit 5-7 hours of story into the starting island of Kephallonia, so picking one of the larger regions could work. 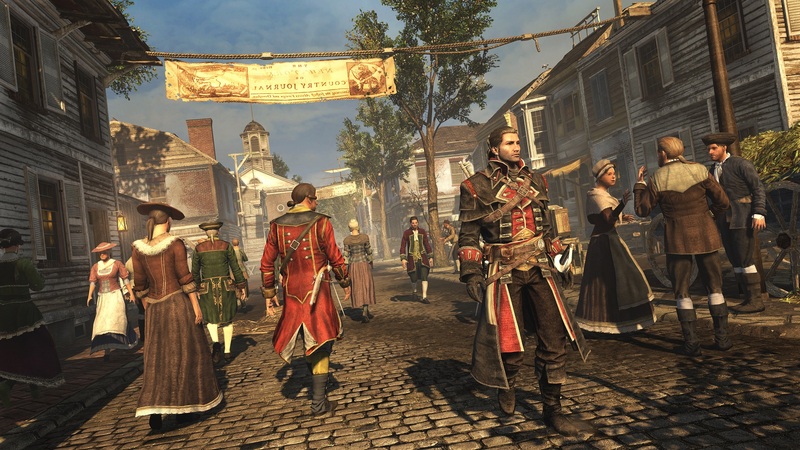 The older model allowed for games like Assassin's Creed Rogue. I don't think fans of the older style of Assassin's Creed are ever going to get something with same resources and budget as Origins and Odyssey. That ship has sailed. But the alternating option can work with a smaller, budget-conscious title in-between the major entries. Assassin's Creed Rogue Remastered was handled by Ubisoft Sofia with help from other studios, much like the original entry. I love the remasters, but why not let Sofia have a more creative outlet? You couldn't remaster Rogue or Liberation if you never made them in the first place, Ubisoft. 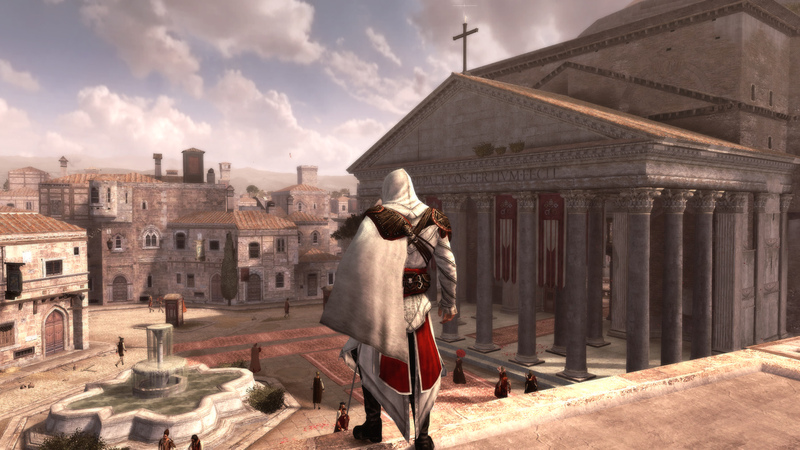 Both games provide unique Assassin's Creed experiences and the series is better having them around. Creating these titles will give diehard fans of the previous Assassin's Creed something to feast on. And if you work in some of those hidden trap tombs from Assassin's Creed II and Brotherhood, you might mollify the Prince of Persia fans too. I don't think Assassin's Creed as a franchise is going back, but it still could diversify. And more options is always good.